WASHINGTON—Amid mounting sexual misconduct allegations against the Minnesota senator, Al Franken tearfully announced to reporters Tuesday his intention to step down from his role as a harasser of women. “I’ve discussed it with my family and, sadly, I’ve come to the conclusion that the best course of action is for me to resign as a groper of women,” said Franken, adding that as much as he’d like to continue making unwanted sexual advances, he will vacate the position effective immediately. 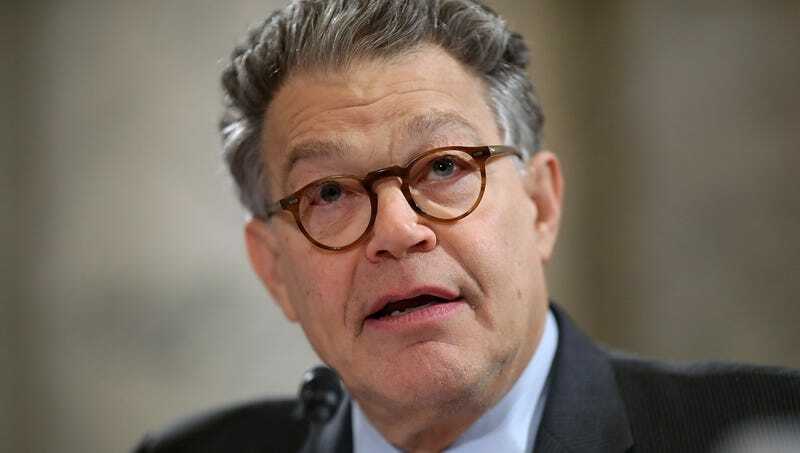 “While I wish it didn’t have to come to this, I now believe removing myself from my post as a serial harasser who uses his power to act inappropriately towards the women around him is what’s best for all parties.” Franken went on to say that, despite this decision, he is grateful for every minute he had in the role.